Have you ever wanted to email your mobile users that opted out of Push? Maybe you want to send a list of your highest value app users to a Data Management Platform (DMP) for look-alike modeling or retargeting? If so, you will be excited to hear that we’re making it easier than ever to accomplish these and many other similar tasks with the beta launch of Audience Exports in the Localytics API! As mobile apps continue to grow, more and more marketers are striving to capitalize on the opportunity of personalized omni-channel engagement. 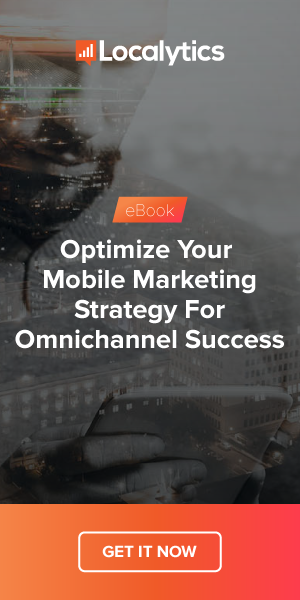 Despite this fact, historically, there’s been operational and/or technical divides between mobile and non-mobile strategies, preventing sophisticated marketing organizations from easily achieving their omni-channel dreams. Because of these divides, Forrester predicted that only 25% (Source) of companies would integrate mobile into their overall marketing strategy during 2016. We’ve built Audience Exports to solve this dilemma by empowering marketers to easily connect their mobile efforts to the rest of their marketing strategy and reap the rewards of true multi-channel 1:1 engagement. Audience Exports is part of our RESTful API web service that gives your engineering team the ability to quickly and seamlessly integrate Localytics’ rich and targeted audiences into any of your other marketing systems for smarter engagement. Outcome: You have an audience of new prospects that match the characteristics or your best users, increasing the likelihood that they will also turn into high-value customers. If breaking down data silos and maximizing the effectiveness of true 1:1 multi-channel engagement is important to your business, contact your Account Manager or the Product Team today, to join the Audience Exports beta.